Loiseau was born in Paris on 3 October 1865 into an affluent commercial family. He was largely self-taught and during his youth he worked with a decorator, painting the outskirts of Paris in his free time. 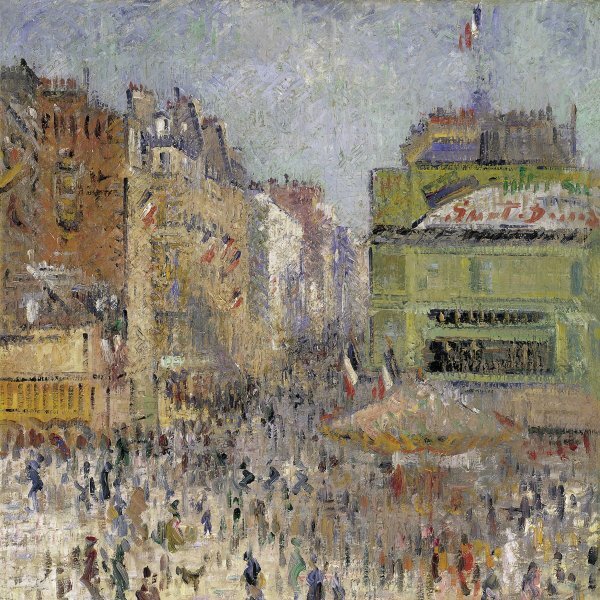 An inheritance from his grandmother provided him with a certain degree of financial comfort and independence that allowed him to concentrate fully on paining and to move to Montmartre. Here he met Maxime Maufra, with whom he remained friends for the rest of his life. He enrolled at the École des Arts Décoratifs for a year, the only training in colour and drawing which he received. In 1888 Loiseau visited Pont-Aven with Maufra, where he met Henry Moret and Paul Gauguin. After this first visit he made frequent trips to the town. From 1893 onwards he exhibited at the Salon des Indépendants and after 1895 at the Galerie Durand-Ruel. In 1894 Loiseau again met Gauguin in Paris where the latter gave him a canvas of a still life. At the beginning of this century the artist made a number of journeys along the Seine, to Pont-Aven and the Channel coast. Between 1902 and 1904 he visited Étretat, Fécamp and Dieppe. Loiseau painted the Seine as it ran through Paris, Herblay, Marly-le-Roi and Triel as well as its tributaries, especially the Yonne from Auxerre onwards. His canvases reveal an interest in depicting the effects of rain, frost, fog, morning mist and overcast skies with the clouds filtering the rays of sun. In order to create a more melancholy landscape he always avoided the intense and vibrant light found in the work of the Impressionists. During the 1920s Loiseau became interested in still-life painting, either flowers-in this case Gauguin's influence was notable-or fish. Scenes of Paris in a range of colours that create a vibrant, joyful mood also occupy an important place within his production. Loiseau died in Paris in 1935.